Westport, Conn – April 13, 2016 – The 39th Boston/New England Emmy® Award Nominations have been posted and Mar Jennings’ vehicle has been nominated for Lifestyle Program/Special. The show’s director, Chris Panton, is nominated for Director in the Non-Live (Post-Produced) category. Jennings’ eponymous television show features his unique prescription for Casual Luxury design and lifestyle. It is in its first season with a second in production. 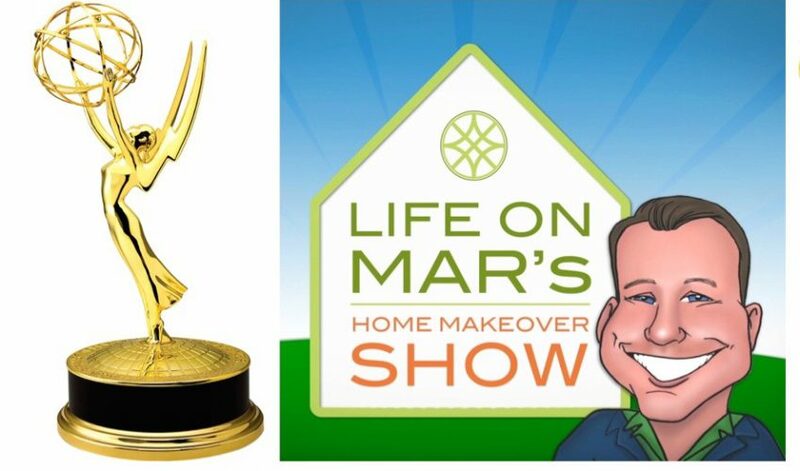 Jennings, TV personality, author and often referred to as America’s Top Lifestyle Expert, has starred in Emmy-nominated programming in the past, but this is the first such distinction for his personal production, “Life on Mar’s: The Home Makeover Show," which airs on ABC CT, WTNH. The National Academy of Television Arts & Sciences, Boston/New England Emmy Awards Ceremony will be held Saturday, June 4, 2016 at Westin Copley Place, Boston, MA.